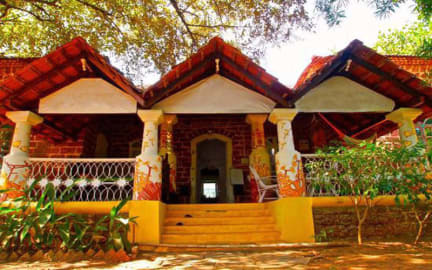 The Nest by Hostelogy kohteessa Goa, Intia: Varaa nyt! Our first stay in Goa. Even came back after our few day visit in south Goa for last few days we had in India to feel some Anjuna beach nightlife. Place was very beautiful, quiet, clean and friendly. So there you can relax and chill still the busy beach is just 15min away by walk. Host was the best help with renting a bike, a car, whatever we needed. The host and good people around made us feel cozy and welcomed. The very best nest to stay, chill and enjoy Anjuna and around!